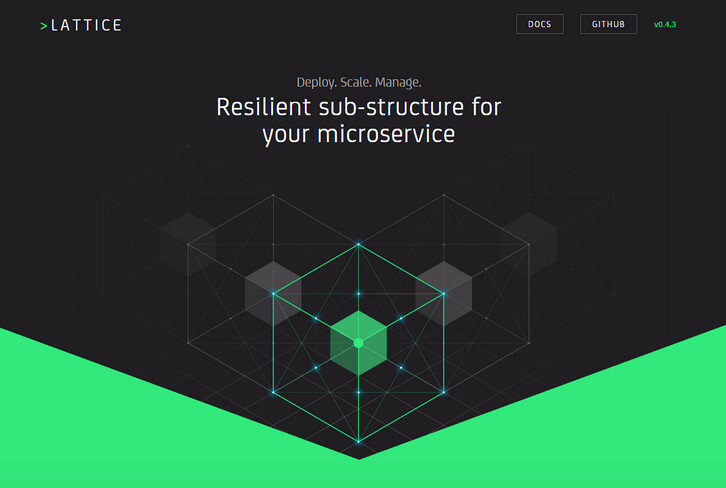 Lattice is an open source project for running containerized workloads on a cluster. Lattice bundles up http load-balancing, a cluster scheduler, log aggregation/streaming and health management into an easy-to-deploy and easy-to-use package. The scheduler balances the allocation of container process resources across the infrastructure. The algorithm uses a distributed auction model based on the resource availability of the hosts and the current placement of your containers. Lattice aspires to make clustering containers easy. Lattice includes a cluster scheduler, http load balancing, log aggregation and health management. Lattice containers can be long running or temporary tasks which get dynamically scaled and balanced across a cluster. Lattice packages components from Cloud Foundry to provide a cloud native platform for individual developers and small teams.